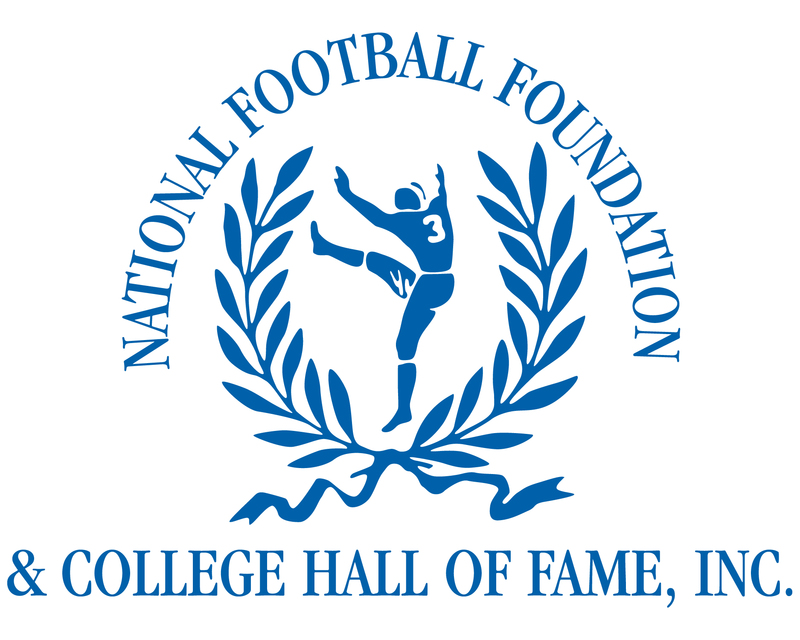 WESTLAKE – Twenty-one local Student/Athletes twill be honored on Monday, April 25 at LaCentre Banquet Center in Westlake by the NE Ohio Chapter of the National Football Foundation and College Football Hall of Fame. A reception will begin at 5:30 p.m., with dinner to follow at 6:30 p.m. In addition to the 21 Scholar/Athletes, the foundation will present the Paul Brown High School Coach-of-the-Year, the Ron Stoops High School Assistant Coach-of-the-Year, the College Assistant Coach-of-the-Year, and award 15 $2,000 postgraduate scholarships. Those to receive Scholar/Athlete awards include Avon Lake High School’s Andrew Bohan, Brecksville-Broadview Heights High School’s Matt Galland, McKinley’s Elijah Farrakhan, Hudson’s Matt Moleski-Belski, Mentor’s Joe Kasper, Royalton’s Logan James Pearce, Notre Dame-Cathedral Latin High School Kyle S. Flynn, St. Edward’s Shane McManamon, and Trent Rivera, St. Ignatius Rob Grebenc and Mike Ramos, St. V’s Mark Murphy, Harvey’s Justin Rice, Walsh Jesuit’s Adam Redmond, and US’s Mitch Black. In addition to the S/A awards, a special award will go to Galland, the Inspiration Award. Area college Student/Athletes to receive awards include Baldwin-Wallace kicker and Brecksville-Broadview alum Brad Pollock, Case Reserve’s Bill Deitmen, John Carroll’s Sean Webster, Mount Union’s Kyle Miller, Oberlin’s Chris Pottmeyer, and Walsh University’s Jason Stiel. They will receive the Post Graduate Awards so that they could continue their studies beyond their initial four-year degrees. 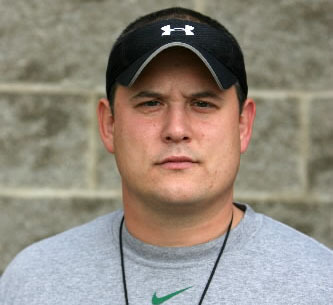 Area coaches of Student/Athletes to receive awards at the banquet in include St. Edward’s Rick Finotti and Maple Heights Todd Filtz for leading their teams to state championships as Paul Brown head Coach of the Year recipients, Brecksville-Broadview’s Ed Herrick as the Ron Stoops Assistant Coach of the Year, and Carroll’s Brian Cochran as the College Assistant Coach of the Year. A special team award will be given to Miami University to be the first team in college football history to go from a season of double-digit losses (2009) to a season of double-digit wins (2010). BEREA – Baldwin-Wallace College junior righthanded baseball pitcher Josh Scott (Strongsville) has been named as both the Collegiate Baseball Writers Association (NCBWA) and d3baseball.com National Division III Pitcher of the Week. Scott earned his honor for being the fourth baseball pitcher in B-W school history to throw a no-hitter when the Yellow Jackets defeated Ohio Christian University, 12-0, on Saturday, March 19. Against OCU, Scott pitched seven innings and struck out six without allowing a walk. He improved his season record to 2-0 overall and lowered his earned run average to a team-leading 1.72 overall. His perfect bid effort was derailed by an error and a passed ball on a third strike in the third inning. OCU only just two baserunners as another reached via an error in the seventh frame. 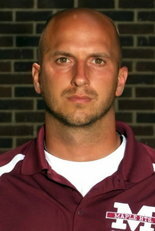 Scott’s no-hitter was the fourth school history and the first since Aaron Krieger no-hit Ohio Northern University in 2005. This week's Featured Team of the Week is the Beachwood High School girls’ lacrosse team. On April 7, the Girls will kick off their season against Kenston at home. This season marks the fourth year that Beachwood has had a girls lacrosse team. The team is coached by Jennifer Tramer and assistant Joe Burwell. Jen has been coaching the team for the past three seasons, and has been a lacrosse coach for 10 seasons, while Joe is starting his second season. Last season was the first season that the team played in competitive games and they finished the season with a record of 5-10. The team returns 28 girls from last season to the 2011 team. Team captains are Monica Arkin, Emily Ganz and Lily Lash. "We have a strong schedule again this year and plan to be competitive in all of our games," says Tramer. "As our skills improve (and preseason has shown that they have very much) we will be able to execute our game/playing strategies better than ever before. “With more experience, we should also have more depth. This will allow us to keep our midfield runners more refreshed, and better able to control the flow of game. Having lost our top goal-scorer to graduation, we will look to fill that role with a number of talented shooters who will have to step up and put the ball in the net. Our defense will be comprised of relatively new but athletic players who should combine to be a threat to our opposition,” Tramer continued. "We have a strong core of younger players who have already shown that they will soon be ready to compete on both the JV and varsity levels," she said. "This year and the next few years will be exciting for Beachwood girls' lacrosse." KNOXVILLE -- Baldwin-Wallace College senior diver Todd Richert (North Royalton) placed fifth in the one-meter diving event today (Thursday, March 24, 2011) at the NCAA Division III National Championship Meet in Knoxville, Tennessee. By placing fifth, Richert earned his seventh Division III All-American honor. Richert scored 423.95 points in the finals to finish in fifth place just seven points out of fourth His 420.95 points was the third best in the preliminary round. Richert returns to action on Saturday, March 26 when he competes in the three-meter event. In addition to Richert, B-W three-time women's All-American diver Julie Pinter (Broadview Heights/Brecksville-Broadview Heights) will compete tomorrow, Friday, March in the one-meter event. Pinter claimed her third All-American honor on Wednesday night as she finished sixth in the three-meter event. It’s all about team this season for the Gilmour Academy softball program. Rather than looking for one or two Student/Athletes to be leaders and carry the team, second-year head coach Jim Galloway believes all nine players on the field will contribute significantly. The Lancers have the luxury of depth this year given a very versatile group of S/As on the roster. Every player has the ability to play multiple positions and be just as successful at each. The team returns four seniors from last year’s squad, including Hannah Newcomb (first base), Ashley Fryar (catcher, outfield), Jenna Klein (catcher, first base) and Jenna Radcliffe (catcher). The team also returns starting shortstop, junior Calla Telzrow. Two other juniors who spent time in the outfield last season have moved into the dirt and are expected to assume starting roles, including Marissa Cangelosi at third base and Rachel Staton at second. Sophomore Payton Wright will cover much of the pitching responsibilities this season, and will be joined by Newcomb and Fryar. A few freshmen could also see some innings this year. The Lancers will have several new faces in the outfield. Several freshmen with quality ball-tracking abilities will most likely be thrust into starting spots from the beginning. Gilmour will have a few possible combinations to choose from with five newcomers available to fill the grass positions. The Lancers defense should be what wins ballgames this season, but don’t count out their offense. "We need consistent hitting. We have flashes of it, but we need to string hits together every inning we step up to the plate,” said Galloway. Although this could be a weakness in the early part of the season, Galloway believes that has more to do with the lack of live pitching in the weeks leading up to the season, not the level of talent. As the season progresses, the younger players will adjust to high school softball and will be in prime form come playoffs. Gilmour begins the season on April 5 at Division II Padua. The Bruins are just one of nine higher-level opponents on the Lancers’ schedule this year. Gilmour also matches up against the Division I teams of St. Joseph Academy (April 7, May 2) and Berea (April 8), as well as Division II opponents Hathaway Brown (April 12, May 3), Perry (April 13), Orange (April 20) and Geneva (May 11). Additional DI opponents Bedford and Parma will also participate in a home 4-way series along with Trinity on April 30. One significant pairing on the Gilmour schedule this season is the May 11 game against Geneva which is the Swing for a Solution 2011 game. This event will benefit the nonprofit organization Autism Speaks by raising awareness and funds for autism. Both teams will wear official Swing for a Solution shirts and items are available for ordering. A total of $5 per item sold will be donated to Autism Speaks. A special concession area will also be set up that day with 100 percent of the profits going directly to Autism Speaks. This event was developed by Gilmour assistant Kristy Booher to honor fellow assistant Mandy Hansen’s seven-year old son Michael who is autistic, as well as others like him. Anyone interested in purchasing apparel or making a donation may contact Miss Booher for information at booherk@gilmour.org. Editor’s Note: March is Women’s History Month and an ideal time to honor the many female Student/Athletes who have made study and athletic play such a great joint process over the decades. In fact it is also a good time to honor the many great women who have made public discourse so robust over the decades including Ann Coulter, Phyllis Schlafly, Sarah Palin, Elizabeth Dole and Laura Ingraham, to name just a few. Oberlin – Head Vollyeball Coach Carey Cavanaugh has resigned from her position, Co-Interim Director of Athletics Natalie Winkelfoos announced on Thursday morning. Cavanaugh, who guided the Yeowomen for the past six seasons, is leaving her post to become the lead assistant coach at Division II Ashland University. Cavanuagh has been one of the most successful volleyball coaches in school history as she leaves Oberlin with the third most wins all-time (43). Her best season came in 2009 when she guided the Yeowomen to a 15-16 record overall and a 7-9 mark in the NCAC. The overall wins total from that season tied a school record, while the seven conference wins was the most in school history. “Carey has done a fantastic job of moving our volleyball program forward,” Winkelofoos said. “She upgraded the program in a number of ways, particularly in recruiting and player development. Her knowledge of the game will be difficult to replace. On behalf of the department of athletics, I wish Carey all the best as she takes another step in her coaching career. During her tenure, the Yeowomen displayed consistent improvement and increased competitiveness year-in-and-year-out. She coached numerous all-conference performers, while members of her teams’ broke nearly all of the individual school records. Cavanaugh’s last day with the College will be April 4, 2011. A national search for her successor will begin immediately. After opening the season with 20 consecutive non-conference contests, the Cleveland State softball team will begin defense of its Horizon League regular season crown this week when the Vikings travel to Fairborn, Ohio to play a three-game series at Wright State. CSU will take on the Raiders in a doubleheader on Saturday (March 26) at 1:00 p.m. and then close out the weekend with a single game at 12:00 noon on Sunday (March 27). The Vikings enter the weekend with an 11-9 record after finishing fourth last weekend at the Chevron Spring Fling at the University of Hawai'i. With a 198-112-1 record in seven years as a head coach, Angie Nicholson will be going for her 200th career victory this weekend. 2011 SEASON PREVIEW: The Vikings return all but two regulars from last years team that went 44-15 and won the Horizon League regular season crown. Tabbed as the favorites to win the league title this year, CSU will be hard-pressed to match the league record 22 wins that the Vikings produced last year as CSU must replace three-time Horizon League Pitcher of the Year Amanda Macenko and CSU career home run leader Lia Gordon. Reigning Horizon League Player of the Year Tess Sito moves to the circle to take over for Macenko, who won 118 games during her Vikings career including 38 last year. Sito has pitched well, going 9-7 with a 2.30 ERA in 98 innings, striking out 106 batters while walking just 35. Junior Megan Bashak (1-0, 1.08 ERA), senior Kala Allred (0-0, 5.54), junior Brittany Bate (101, 6.10) and sophomore Brandy Holmes (0-1, 9.00) have also seen time in the circle. The outfield is deep, featuring five returners, with Jessica Burt (.299, 7-8 sb) starting every game including 16 at the two corner spots, with Alicia Nichols (.176) starting 18 times in center and Megan Bashak (.192), Caila Ferro (.125) and Macall Sheppard (.154) each starting around half of the games. The starting infield will depend on who is starting in the circle as Sito (.242, 4 HR, 6 RBI, 10-11 SB) can start at anywhere but third. The left side of the infield has been consistent as Andrea Nagy (.200, 8 RBI) has started every game at shortstop after missing the 2010 season because of injury, and Gabby Gillilan (.195, 2 HR, 5 RBI) has started all but two games at third. Dara Toman (.298, 4 HR, 13 RBI, 11 runs) has split her time between first and second and Katelyn Ciminelli (.071) has been the primary starter at first base. Amy Powell (.250, 1 HR, 4 RBI), a second team all-league pick last year, has started every game behind the plate. NICHOLSON GOES FOR WIN 200: When the Vikings open their Horizon League schedule at Wright State this weekend, fifth year CSU head coach Angie Nicholson will attempt to win her 200th career game. Nicholson has a 145-65 record in her fifth year at CSU and is 198-112-1 record in seven seasons at CSU, Butler and Ursuline.
. . . BUT THOSE DON'T COUNT: Nicholson is actually in her 11th season as a softball head coach, but her four seasons at Cuyahoga Community College (2001-04) don't count according to the NCAA records because it is just a two-year school. When you add the 94-64 record that her teams compiled in those four seasons, than Nicholson owns a 296-176-1 career record. SITO & TOMAN EARN ALL-TOURNEY HONORS: The Vikings brought some hardware home from Hawaii this week as sophomores Dara Toman and Tess Sito each earned a spot on the all-tournament team at the Chevron Spring Fling. Toman hit a team-leading .333 (5-15) with two doubles, a triple and four RBI. Sito was 2-4 with a 3.19 ERA in the circle, throwing a five-hit shutout in a 5-0 win over Iona, allowed just one run in seven innings in a 2-1 win over Iona in the championship bracket and pitched a complete game in CSU's 2-1 loss to No. 10 Hawaii. The honor marked the second of the year for Sito, who was also named to the all-tourney squad at the Winthrop adidas Invitational. THE HOME RUN RACE: An intriguing battle that should take place this season will be for the CSU career home run record as sophomores Tess Sito and Dara Toman are each closing in on Lia Gordon's (2007-10) record of 26. Sito hit a school single season record 18 last year and has added four more this year to rank second all-time with 22 long balls while Toman had 16 a year ago and four more this spring to give her 20, ranking her fourth all-time, one home run behind Amy Jauert, who had 21 from 1995-98. STOP THEM, THEY STOLE SOME BAGS: The Vikings are off to a great start on the base paths this year, stealing 32 bases in 42 attempts (.762) to rank second in the Horizon League. The trio of Tess Sito, Jessica Burt and Andrea Nagy lead the way, ranking first and tied for third, respectively, in the league this season. Burt's seven steals raised her career total to 57, tying her for fifth place on the CSU career list, while Sito's 49 career thefts, are eighth best. Alicia Nichols, who is three-for-six in steals this year, has 33 career thefts. VIKINGS TABBED AS HORIZON LEAGUE FAVORITES: Coming off a season in which they set a school record for victories (45) and a Horizon League record for wins (22), the Vikings were narrowly voted the favorite to capture their second League title in three years, receiving four first-place votes and 58 points in voting by the League's head coaches. CSU finished one point ahead of UIC, who earned four first-place tallies and 57 points. Wright State received the final first place vote and 43 points to tie for third with Butler with Valparaiso (39 points) finishing fifth, Loyola (31) sixth, Green Bay (29) seventh, Youngstown State (17) eighth and Detroit (9) ninth. This is the third straight season that the Vikings have been picked to win the league. BURT HITS LEAD OFF: One constant in the Viking lineup the last two years has been at the top of the batting order where senior Jessica Burt has hit leadoff in all 79 contests. The LaGrange, Ohio native possesses outstanding skills at the plate, combining excellent hand-eye coordination, good power for a slap-drag hitter and excellent speed to be a versatile offensive threat. She leads the team with a .299 average this year (20-69). Her 20 hits have raised her career total to 168, ranking her sixth on the Viking career chart. Burt is also second all-time with 13 triples, eight shy of the school record, and tied for fourth with 33 doubles. ON THE ROAD AGAIN: The three-game series at Wright State this weekend will push the season-opening road swing to 23 games before the Vikings finally get a chance to open the 15-game home schedule on March 29 against IUPUI. ROAD WARRIORS: One of the reasons for the Vikings' success the last couple of seasons is their ability to win games on the road. Over the last three seasons, CSU is 26-4 in league road games, including a league-best 8-1 record last year. CSU has had the best road record for three consecutive seasons, going 9-1 in 2009 and 9-2 in 2008. A TOUGH: One trend that has continued regarding the Viking pitching this season has their ability to hold a lead. CSU is 63-0 over the last three seasons when it takes a lead into the seventh inning, including a 9-0 record this year. Going back even further, CSU is 84-1 over the last four seasons, with the lone loss coming to Wright State in the semi-finals of the 2008 Horizon League Championship when CSU couldn't hold a 4-3 lead in the final frame, falling, 6-4..
SITO: The Vikings have benefited from the pitching of Tess Sito this year as the sophomore has done a good job replacing three-time Horizon League Pitcher of the Year Amanda Macenko, and she has put up some numbers that compare favorably to Macenko. In 98 innings, Sito has struck out 106 batters for an aveage of 7.6 strikeouts per game. Macenko struck out 1,114 batters in 1,059 inning for an average of 7.4 strikeouts per seven innings. In 13 starts, Sito has recorded five shutouts. In her final two years at Elyria High School, Sito was one of the top pitchers in the nation, compiling a 53-5 record with 643 strikeouts in 367.2 innings. NEXT UP: Cleveland State returns home for the first time during the 2011 season when the Vikings host IUPUI on Tuesday, March 29 beginning at 3:00 p.m. at Viking Field.